Size 0-6 mon 16" circ 6-9 mon 17" circ 9-12 mon 18" circ 12-18 mon 19"
Satin ribbons to tie in a bow. 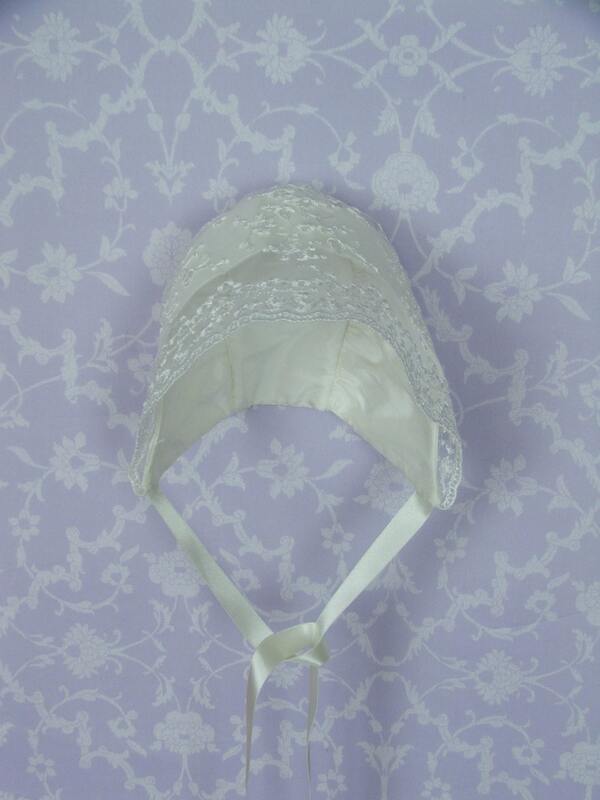 This stunning little bonnet is both lacy but un fussy. The Constance Bonnet matches our Constance gown. You can order it on it’s own on this page or see it again as part of a group order on our Constance with Accessories page. The lace matches our Constance dress. 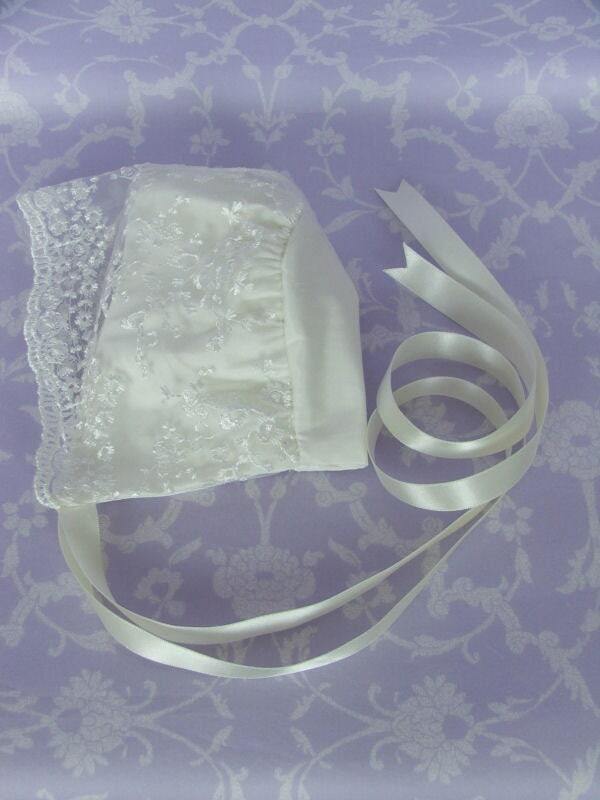 The silk crown sweeps back away from the front of babies face allowing the lace to sit perfectly on babies head. 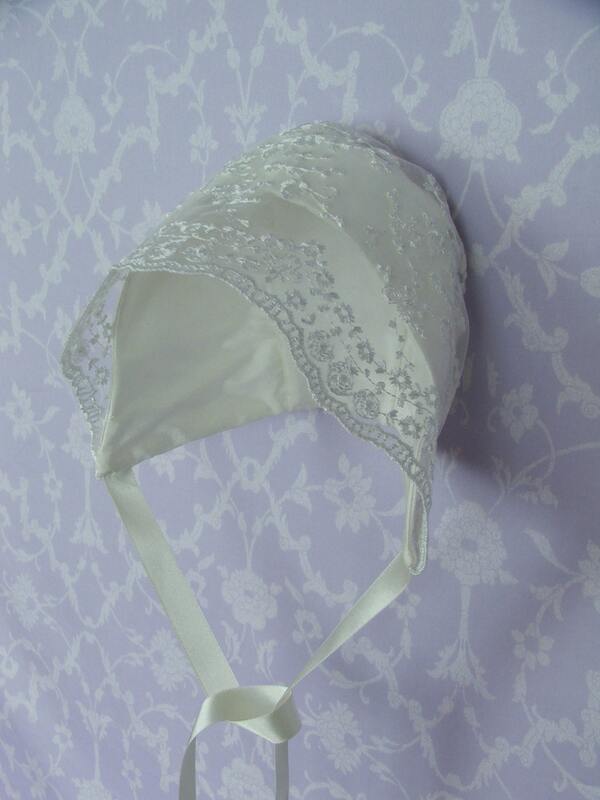 Very pretty and very simple the way it shows off the lace with out being frilly. Matches our Constance and Lucy gowns.